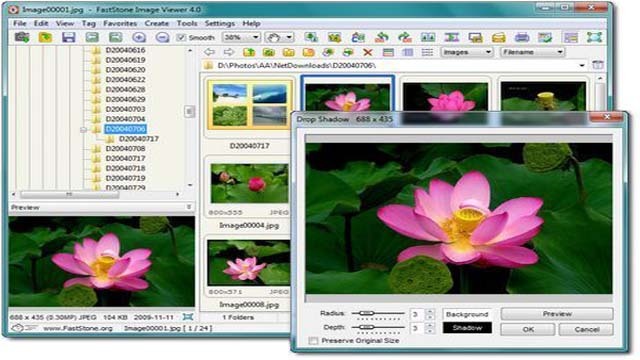 FastStone Image Viewer download latest version free for windows pc. It is an image browser, viewer, converter and editor that supports all major graphic formats including BMP, JPEG, JPEG 2000, GIF, PNG, PCX, TIFF, WMF, ICO, TGA and camera raw files. It has a powerful features such as image viewing, management, comparison, cropping, color adjustments, red-eye removal, emailing, resizing, musical slideshow.